expected to triple by 2050 as populations live longer, making the care burden on families and the economic burden on society a major global problem. Alzheimer’s disease (AD) is currently considered to be the most common cause of dementia. It is a progressive neurodegenerative disorder characterized by decline in cognitive function, progressive impairment of activities of daily living and neuropsychiatric symptoms. It is a major cause of emotional and financial problems the magnitude of which is predicted to increase steeply in the next few decades if no cure is found. diagnostics and effective therapies may emerge. 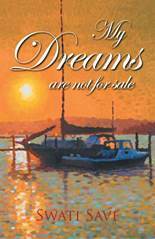 recommended recently by the National Institute on Aging and Alzheimer’s Association. The emphasis in this work was to assess whether the new criteria could be implemented on aged nonimpaired individuals often displaying AD pathology in various extent. We assessed 587 cognitively unimpaired aged subjects. Interestingly 28 subjects showed intermediate level of AD pathology following the new diagnostic criteria. This work is published in the Journal of Alzheimer’s and dementia. humans such as neurodegenerative disorders. Using “immunohistochemistry” we will study levels of expression of an axonal transport protein in post-mortem human brain tissue of different Alzheimer’s disease stages and compare these with levels in normal brains, to assess whether changing levels of this protein may be involved in the disease process. The ultimate goal of this project is to define some of the mechanisms involved in the Alzheimer’s disease process, in particular, axonal transport defects, which may eventually lead to development of new arrays of therapeutics with symptomatic effects or disease modifying potential. in neurodegenerative pathology. She hopes to raise awareness of the need to develop her country’s research capacity in this field, leading to the establishment of Sudan’s first brain bank facility. In Sudan, traditional beliefs make it difficult for families to accept post-mortem organ donations. Encouraging brain donations will enable Sudanese researchers to progress more rapidly in understanding neurodegenerative disorders like Alzheimer’s disease. MOSAICQUE magazine interviewed Adila on what influenced her choices and beliefs in life. I have always liked medicine as a subject and my mother has always supported me for getting educated. In fact she has inspired all five siblings – 2 girls and 3 brothers, to get educated. Her mother “Saud Abd Alaal El Tahir” is her role model. I have been interested in neuropathology – molecular pathology, to understand how normal proteins can be used as a therapeutic treatment for Alzheimer’s. 2. What do you plan to do in the future? 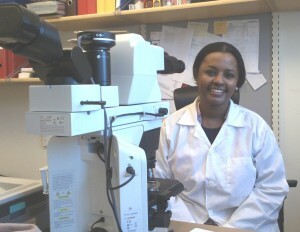 After I complete my Ph.D. in Sweden I plan to go back home in Sudan and continue with her teaching career in medicine. Adila also plans to raise awareness of neurodegenerative disorder and develop a Brain Bank by encouraging Sudanese to donate brain. Her advice to the young in Sudan, is to invest in research fields of different systems of medicine. She believes this will make Sudan & Africa more scientifically strong and a leader. Adila encourages the young to invest in science and education. Her message to the young is to “work hard, believe in their goals, and go achieve them”. I love Sudanese music and our traditional food, particular our bread. Profile: Dr. Adila Elobeid is a physician by training from North Sudan. She taught medicine at the University of North Sudan and is currently completing her doctoral degree from Uppsala University under the auspices of UNESCO-L’Oréal Fellowship for Women in Science. The fellowship has supported Adila Elobeid’s postgraduate studies in the field of molecular and morphological pathology. Adila plans to return to Sudan and start a brain organ donation bank and teach medicine. She encourages youth to study medicine and science fields.